Alan Tam double bill, people! Normally an actor I detest and for part of this episode I will continue doing that but no doubt, Tam-ster, Tam-boy, Tammi was part of a thriving Hong Kong cinema and put in various vehicles requring a lot out of him. Among other things action and for part of this evening, that admiration will be put forth. 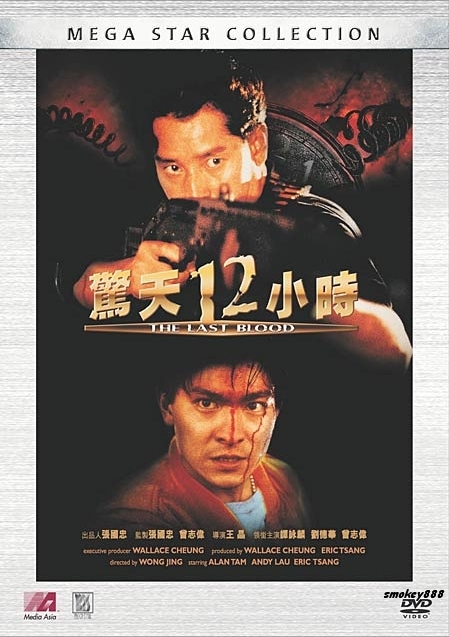 We first look at Wong Jing’s gun-fu, gunplay, Singapore set The Last Blood from 1991 and in the second half we discuss Sammo Hung’s politically incorrect action-comedy Pantyhose Hero. With Kenny B and Phil G.
When a small time triad (Andy Lau) decides to take his girlfriend, Ling (May Lo) on holiday to Singapore, they end up catching the same flight as the Daka Lama (A famous Monk). When arriving in Singapore a group of suicidal Japanese terrorists attempt to assassinate Daka. They manage to shoot Daka, but Ling is also caught in the cross fire.